There is one more chance this year to participate in the Indiana Talking Book and Braille Library Book Club! The final meeting of the year will take place on Tuesday, Nov. 13, 2018, at 2 p.m. Eastern/1 p.m.Central. 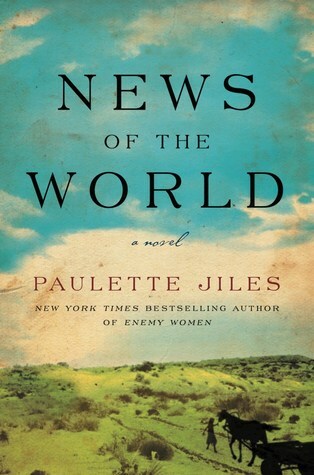 The book we will be reading and discussing is “News of the World” by Paulette Jiles, which is available to Talking Book patrons in audio (DB 86668), braille (BR 21741) and large print (LP 20739). The novel follows an itinerant news reader as he escorts a ten-year-old white girl back to her family after her rescue from a Native American tribe. Participants can join the discussion by calling our toll-free dial in number, 877-422-1931, and entering the conference code 8762032518. Participants may also request that the library call them at the appointed time. To request the book and to let us know that you are interested in attending, please contact Laura Williams via email or at 1-800-622-4970. This blog post was written by Laura Williams of the Indiana Talking Book and Braille Library. This entry was posted in Talking Books & Braille and tagged book club, Indiana, news of the world, talking book by indianastatelibrary. Bookmark the permalink.